This is a partial preview. Full document is 24 pages. View large preview. * Know the expectations of your Program Manager/Project Sponsor. If you aren't sure, ask. 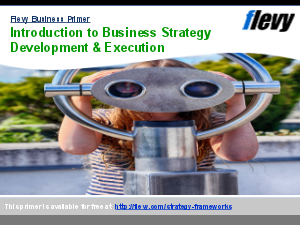 * Know the business rationale of the project. Why are we doing this project? * Focus on deliverables. Think about your project's deliverables from the viewpoint of the client. What would the client be willing to pay for? * Recognize your project's relationships with other projects, and maintain communications with project managers of those teams. * Be confident in your estimates. Ask others with estimating experience to review your workplan and estimates. Remember, tasks should be less than 80 hours. Use Key Performance Indicators (KPIs) and earned value to assess project performance and report status. Tell a "story" when reporting status. Project Management? Consulting Proposals? Channel Distribution Strategy Example? Or something else.